Rich, tempting dark chocolate fudge with milk chocolate and walnuts blended in. COMMENTS: This is a rich, yummy brownie scent that doesn't smell synthetic at all. 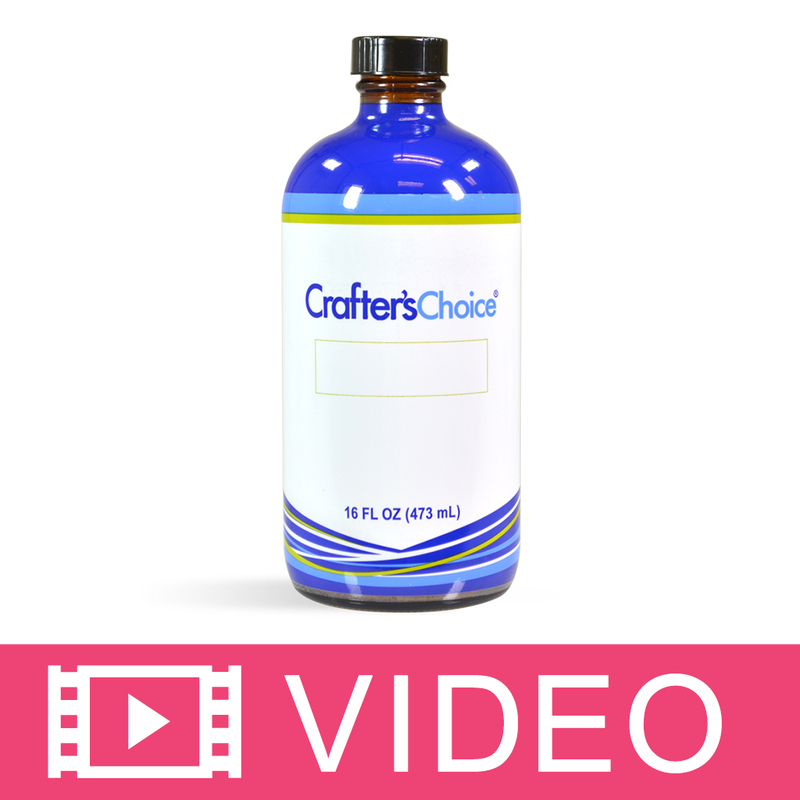 Customers rave when I use this in blends for my product! My product is not listed up there, but lotions, creams, and body butters is closest I suppose (to slime). It makes the chocolate scents pull forward in other chocolate-y scents as well. "Fudge Brownie scent is great"
COMMENTS: Even though I liked the scent straight out of the bottle, it smelled even better weeks after adding it to my cold process soap. By that time it smelled like fudge brownies. My mouth started watering every time I walked past it. I added this Fudge Brownie Fragrance Oil at trace and it did not speed up trace at all. I cannot tell if it darkened my soap because I added cocoa powder to my soap as a colorant. I will add this to my 'keeper' list. • The true brownie scent. COMMENTS: This smells absolutely delicious out of the bottle. It soaped like a dream - no issues, at all. With that said - after making the soap, my entire house started smelling like a disgusting combination of smelly feet and rotten garbage. I seriously hope that it morphs back into the beautiful brownie smell or else I might cry. It's still cold here, but I've opened every window in the house. COMMENTS: Smells just like brownies. Worked very well in my soy candles. COMMENTS: I got this product in the mail today and I had to get rid of it a few hours after opening the package. I tried to make some wax melts with it and I had to get rid of everything because the smell was just too strong and too gross. I must say this is a no go for me! WSP Response: This scent is a top seller. It is very, very concentrated. Try using less than you usually use. A little goes a long way. COMMENTS: I wanted to drink this as soon as I opened it. It smells exactly like a fudge brownie. Behaved well in CP soap and the scent lasts. COMMENTS: I am new to soapmaking. I have been experimenting with different shapes of soap and decided to try making some cupcake soaps. I used this fragrance with the white melt and pour soap for the bottom part of my cupcakes. The smell of this fragrance is amazing. It truly smells like I was baking a batch of homemade fudge brownies. My husband who doesn't care for sweet bakery type fragrances was shocked this smelked so realistic and loved it too. I plan on this being a fragrance I will purchase again and again. THANK YOU! COMMENTS: One of my best selling fragrances. It doesn’t take a lot to get that chocolate smell. "Smells a little TOO good!" COMMENTS: FANTASTIC fragrance! Super rich and chocolaty! If you REALLY want your soap or product to smell like Chocolate Fudge Brownies -- REAL chocolate fudge brownies, then this is absolutely for you! This is not a "bakery scent that smells 'sort of' like brownies" -- noooo. You will have everyone giving you the evil eye because it smells like the real thing. I did get a false trace with this fragrance when soaping at 110 and had to really stick blend to get a smooth consistency and even mix. I feel like it accelerated quite a bit but it wasn't unmanageable and it was perfect for piping. I'm about half way through cure and the scent is sticking strong and true. No morphing. I'll probably opt for a slower moving recipe the next time. Works great in scrubs. 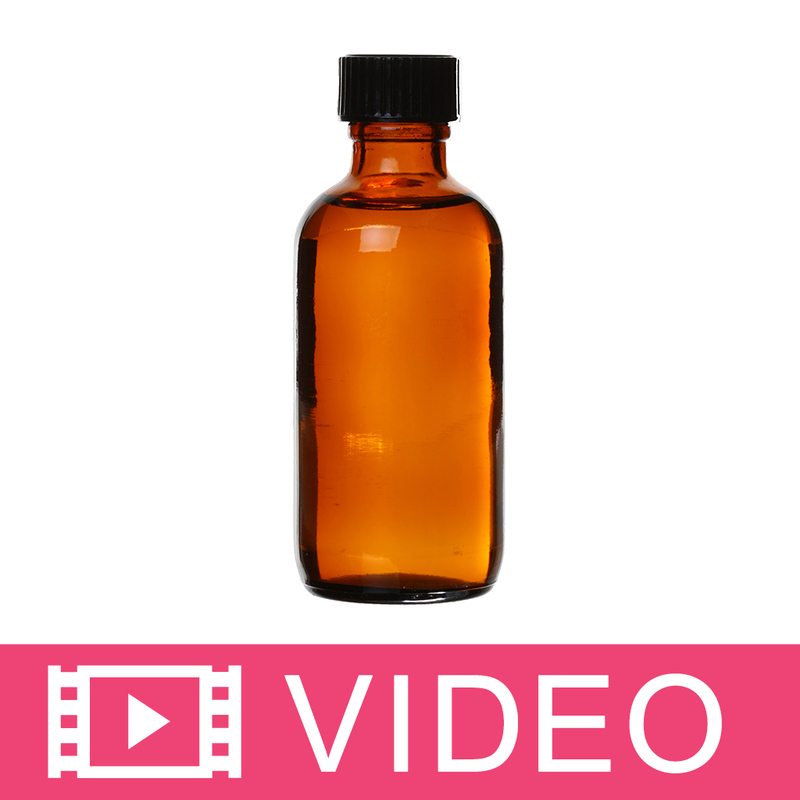 COMMENTS: I needed a chocolate fragrance oil and this was exactly what I was looking for. I am in love with the chocolate smell from this. When I opened it I couldn't stop smelling it. I will say once again great packaging, no leaks. For sure a repurchase. COMMENTS: This item is strong on the chocolate so you need to make sure you dont use much in your product but doesnt smell that bad at all. COMMENTS: This fragrance is so yummy. Really smells like fudge brownies. I used it for soy candles. Candles are curing right now. Each day I check them scene is getting stronger. Will be ordering more for sure! COMMENTS: Love the smell of this fragrance, makes me want to go out and get some chocolatey treats. "On point, husband thought I made brownies!" COMMENTS: This fragrance is right on the money! I made HP soap with this and Fresh Brewed Coffee FO, and my husband came in the kitchen thinking I had made brownies. Customers love it! COMMENTS: Smells EXACTLY like brownies, makes everyone hungry. Smells so much like the real deal that every elderly customer comments "Can't buy that, I would eat it!" And you have to laugh every time because you've not heard that joke 47 times in the last hour, and Bertha is hilarious. COMMENTS: I absolutely love this FO. My customers love it too. I'm a baker at heart. This fragrance is outstanding. No problems with acceleration or ricing. I always use a dark cocoa powder for color. I would definitely recommend this one. "When will the brownies be done?" COMMENTS: Amazingly accurate fragrance OOB. I put some on a tester strip and had my kiddos close their eyes and take a test sniff. They both agreed: "BROWNIES!!!" and "YUM!" Don't miss out on this one. COMMENTS: This smells really good and it soaped well. No acceleration or ricing in cold process soap. It discolored to a chocolate brown after a few days which I expected because of the vanilla content and it is perfect. I didn't have to add a colorant, because the color is perfect. Very happy with this fragrance. My house smells like chocolate. "Smells just like brownies! " COMMENTS: In UT mint brownies are incredibly popular, so I pair Fudge Brownie with Peppermint EO to make a Mint Brownie soap and bath bomb. It is really popular and a personal favorite of mine! "Great scent mixed with Peppermint"
COMMENTS: I love to mix this with peppermint to make a peppermint mocha. I sell it like crazy to young customers. "You'll be tempted to take a bite!" COMMENTS: I used this fragrance in a cold process recipe to make a pie replica. I was very pleased with the fragrance's performance and smell. Will most like purchase more! COMMENTS: Decadent chocolate scent, one of my faves! COMMENTS: Just made a cake slice mold today with the fudge brownie fragrance oil. And wow it smelled absolutely fabulous. Smelled like i just baked a rich chocolate cake. I added alittle brown coloring to my soap batter. Never used this fragrance before so i wanted to make sure the batter would have a deep chocolated color. The description says that it will discolor. No trouble with this fragrance oil , it did start to thicken as i was pouring into cake slice molds, so i kept stirring after pouring alittle. It seemed to behave well in the soap batter, no big surprises, so that is always a plus!The smell is fabulous, i hope the scent retention is there when i unmold it to cure. I used cold proccess batter for it. I usually pour my fragrance oil on the higher end, i like a soap to smell wonderful, and customers for the most part do too! "This is for the desert lovers"
COMMENTS: There are a LOT people out there, like my sister for example...that adore baked good scents in their body products and candles. There is a big target clientele to be had there...and quite literally this smells amazingly real! Don't get confused and try to eat it...it just smells that great! COMMENTS: Great fudgy scent, you can smell the walnuts and the chocolate. Performs well in cold process soap, discoloring to brown. 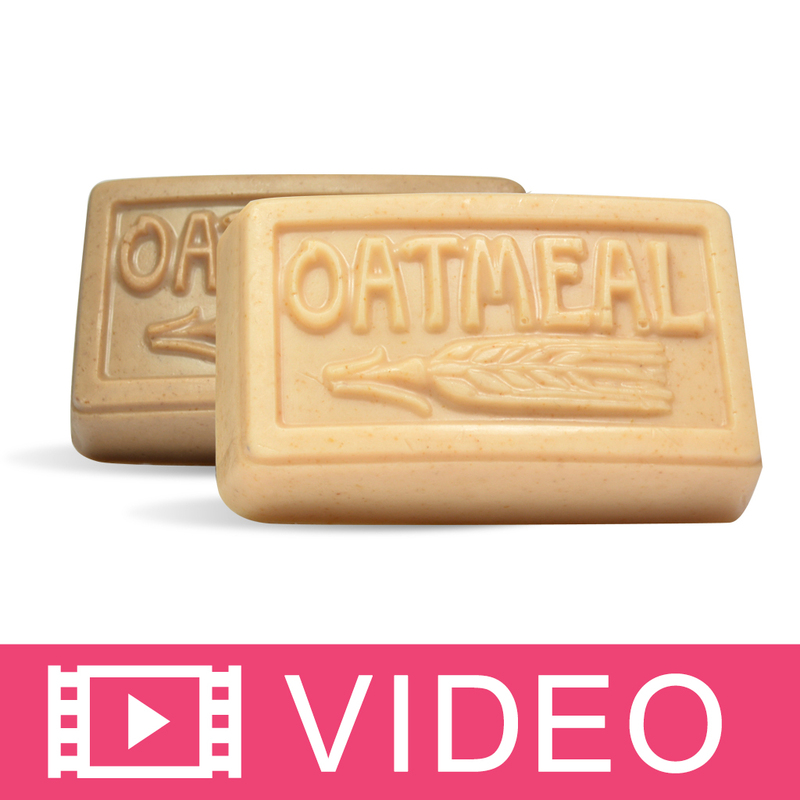 COMMENTS: Great scent, used in cold process soap with no problems. Scent stays after curing. COMMENTS: Should be the name. Nice fragrance oil. Makes me hungry but I love chocolate and this is not a sweet overwhelming smell! Used in soap and it works great! COMMENTS: I was looking for a deep rich chocolate fragrance and this is it. I plan to use this FO in a cupcake melt and pour. My husband and son thinks it smells more like hot chocolate than brownies. I think it could be marketed either way. COMMENTS: Another yummy smell. Discolor to dark brown. "Hot out of the oven!" COMMENTS: Imagine sticking your face in a bowl of brownie mix ready for the oven. The description talks about walnuts blended in which I don't smell at all, but it is still an amazing TRUE scent. COMMENTS: This smells like brownies are baking. Absolutely love this fragrance, works well in bath bombs, sugar scrubs and lotion bars. Must warn others that they cannot eat the wonderful smelling products. Highly recommend! COMMENTS: This scent is very nice! We use it in many products such as lotion bars, milk baths, coffee scrubs and sugar scrubs. Love it! COMMENTS: I used this in HP so I don't know how this behaves, but the smell is exactly a fudge brownie. I love it. I ordered 16 ounces and am so glad I did. I will try CP in future to see how it behaves and holds up. It's only 5 days into HP curing and it smells great, but it's still early. I'm hoping since the saponification is pretty much done (all the way done?) I wont lose any scent. Bottom line is I love this! you can't beat the price, and it smells amazing. "Too bad this stuff isn't edible"
COMMENTS: This fragrance is awesome! I just now made a m&p loaf soap with this scent. The whole place smells like a plate of just-out-of-the-oven brownies. "If only it was edible. " COMMENTS: This smells so good. I'm honestly not even a big chocolate fan, but I love this scent! COMMENTS: This smells exactly like fudge brownies. I love the scent and have used it to make lip balms as well as sugar scrubs. This will always be a go to scent. "Smells like real fudge brownies"
COMMENTS: Mmmm, smells like the real thing, everyone one wants to eat it. It darkens to a nice chocolate brown. Soaps well no acceleration or ricing. COMMENTS: Smells exactly as described. Made an awesome lotion and bath bomb cupcakes. COMMENTS: A good scent. Smell just like a chocolate brownies. "Perfect for my shop's signature scent!" COMMENTS: Wow...this is a wonderful scent! I bought it to make a signature soap for my shop, Chocolate Lemon Bath & Body. I think it is going to be just perfect! "Fudge Brownie Fragrance Oil 299"
COMMENTS: Oh good gumballs!!! This really does smell like fresh baked fudge brownies right out of the oven. From the bottle and in everything I put it in it stayed true to the aroma and everyone loves it. This is so great. I love it for my kids critters soaps. And of course the Brownie Bites molds, this is perfect. Great fragrnace. • True smell. Lasts. Only take a little. COMMENTS: A wonderful fudge brownie fragrance and doesn't yellow in outdoor light as do some fudge brownie fragrances from other suppliers. Smells good enough to eat! COMMENTS: This is a nice and strong scent which behaves well in cp soap, no acceleration of ricing. Of course it does discolor but that works well because it looks like chocolate. COMMENTS: I really like this one but it does have a slight artificial smell. Everyone loves it. COMMENTS: I used to make cold process soap. The scent has become a fast favorite with no calories. COMMENTS: Made lotion and exfoliant products with this. People love the smell. The only downfall is the smell does not last. It would be great to see this as a flavor oil! COMMENTS: performed perfect & I must get more ASAP!! COMMENTS: This scent always leaves my friends asking for another container of whipped sugar scrub. I couldn't ask for more! Plus, it leaves my kitchen smelling like I just baked brownies! COMMENTS: Great chocolatey scent that made the house smell like brownies all day. COMMENTS: my husband and I really really love this fragrance. I want to take a bite out of it! COMMENTS: This scent is right on target. Very warm and chocolatey without being too sweet. Literally smells like warm fudge brownie. I smell the hint of walnut. It smells good enough to eat! COMMENTS: This scent is spot on, its delicious! COMMENTS: Tried this in CP and found it smelled like the name. I had recently tried another brand's "hot cocoa," which I found overpowering but this one was nice. I didn't have an trouble with it although I'm not sure if anyone will want their soap to smell like a fudge brownie. I put this in my mental category of "novelty" soap. "Wonderful Chocolate Scent for CP!" COMMENTS: We have searched for a good chocolate scent for CP soap and truly couldn't find any that had a lasting scent. This scent is absolutely incredible. Worked wonderfully in our CP soap, no acceleration and since we made it dark brown we're not sure about whether it discolors. If you were using it you probably want it dark brown anyway! Our soaps smell absolutely incredible, my son keeps saying it's like you want to take a bite out of it, it smells so good! I think it will be excellent mixed with orange, strawberry, etc. We also used it in our body powder and it smells wonderful! Works perfectly in the powders and is holding the scent very well. This is definitely our go to chocolate for any blend, we've already tried blending with buttercream, cherry and lime and it is incredible! WSP, you must never ever get rid of this scent, it's perfect and our customers love it too! WSP Response: Fragrance oils that contain vanilla or vanillin will change color. The color change can take days, weeks, or months and can vary from a light ivory to dark brown. 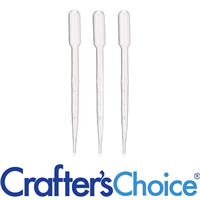 Our Crafter’s Choice Vanilla Color Stabilizers and Crafter’s Choice Vanilla Color Neutralizer will prevent some products from changing color. COMMENTS: A wonderful chocolate brownie fragrance. Smells like the real deal. A little goes a longgg way. COMMENTS: Although customers don't seem to buy this one it does have a nice chocolatey scent. If they don't buy it I will happily use it. "Smells like Fresh Baked Brownies"
COMMENTS: I love this fragrance. It smells just like someone took a batch of brownies from the stove. There is a slight nutty undertone, but otherwise, it smells amazing. It works well in everything I have tried it for. "Smells good enough to eat ! !,"
COMMENTS: This scent smells good enough to eat!! I added some brown because I didn't know how much the vanilla content would turn it brown , turned out perfect. COMMENTS: This scent is by far my favorite when it comes to a chocolate like smell. Its so fudgy it makes you imagine brownies as soon as you take a whiff. I made little brownie bite CP soap with this scent and all my reviewers LOVED this the best! I will definitely be keeping this scent on hand. COMMENTS: This fragrance is a favorite among the young and old. Its not as strong as I would like but is a keeper. "Smells good... now that it's expired, LOL!" COMMENTS: When I first received this fragrance, it was so sickly sweet that I had to throw out the test soap batch I made with it because NO ONE would accept a bar. My husband and friends agreed that it smelled disgusting - like a fast food chocolate shake after melting, nothing even resembling fudge or brownies. I gave it another whiff six months later and it was still just as disgusting, so decided to just throw it out - somehow, it never did end up in the trash. I recently found it in an old moving box. Now, this bottle expired in 2009... now that it's 2014, it smells wonderful! The sweetness has mellowed out to a much more tamed version of its original smell - it smells exactly like fudge brownies! After reading through all the great reviews for this fragrance oil, I'm convinced that I must have just received a bad batch. I felt a little jealous, but luckily, I spoke to a professional soap supplies vendor and a few soap-makers at our local market, who have all agreed that an FO is okay to keep using as long as it still smells good (they say the expiration date is actually just the last guaranteed day that it will still smell the same as when you first got it, not the date at which you can no longer us it). WSP Response: Our recommended usage dates are all 1 year from date of purchase. That means we suggest using the product in that time period to receive optimum benefits from oils, butters, etc. When a fragrance oil is used after that length of time, many of the top notes, may have disappeared and we cannot guarantee it will smell quite the same. In this case, the original soap made might have been over-fragranced, that may have been why it smelled so strong. It is also best to use in a product rather than smelling straight from the bottle since the fragrance is so concentrated. We do not feel you received a bad batch, since a full drum contains 400 oz. and that would mean the entire drum would be off. We would not recommend using this fragrance after 5 years to sell products but you can certainly use this for personal use. COMMENTS: You have got to try this FO if you love brownies! Smells just like the real thing! I make chocolate cupcakes and use this as the FO and they always turn out amazing! Who doesn't like the smell of chocolate? I used this fragrance in some chocoltae soap bunnies that I made for Easter and they flew off the shelf! COMMENTS: I recently made a batch of almond milk soap with this FO, and the scent is pretty good; smells just like a chocolate bakery item. It does discolour to a dark brown, but I find this as an advantage because it works with a chocolate-themed soap. It also stayed fairly true to the scent from the bottle (though it did lose some of the cloyingness I personally found, from the FO). I am more a fan of essential oils, but since some scents are hard to duplicate with an EO (like chocolate), FO's can be a good alternative and are sometimes the only alternative, and this one is pretty good for a chocolate-type smell. Overall I am pleased with the purchase, and will probably buy it again since I think my chocolate-scented soaps are going to be very popular (I had some family members smell this batch and they loved it)! COMMENTS: The title pretty much sums it up. 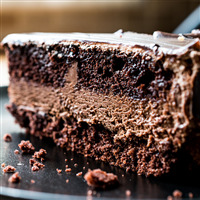 Rich chocolate brownie with chocolate frosting. Excellent in melt and pour and soy wax melts. "Fudge Brownie Facial Mask? Only with WSP!" 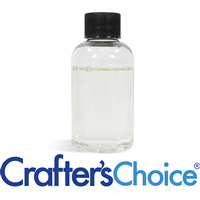 COMMENTS: Only Wholesale Supplies Plus carries a fragrance oil THIS AWESOME for THIS CHEAP! I DARE YOU to find a supplier as good as these folk. Five stars all the way to Mount Rushmore, baby! COMMENTS: This FO is true to it's name!! It smells like a freshly made batch of brownie batter!! It is decadent smelling in the shower. COMMENTS: This scent reminds me of fudge and is really delicious smelling. Great for those foodies! COMMENTS: If I had young children around, it would be dangerous. It smells just like a Fudge Brownie. COMMENTS: This is one of my top sellers and a personal favorite...Smells absolutely like fudge brownies fresh from the oven! Love this scent! COMMENTS: I love this fragrance it smells great. COMMENTS: I used this for melt and pour guest soaps that look like chocolate bon-bons. This is another great fragrance for chocolate lovers; it smells just like nut brownies straight from the oven. A little goes a long way. It has a sweet milk chocolate fragrance as opposed to a dark chocolate smell. It’s one of those fragrances that appeals to everyone. "Fudge Brownie...as good as it sounds! " COMMENTS: I personally do not like food scented candles, however, this was fabulous! Smelled just like a pan of brownies! Scent threw well! May pair a strawberry with it for next year Valentine's Day! "THE BEST CHOCOLATE EVER INVENTED!" COMMENTS: This chocolate is the best I have ever tried and I've been looking for 3 years. 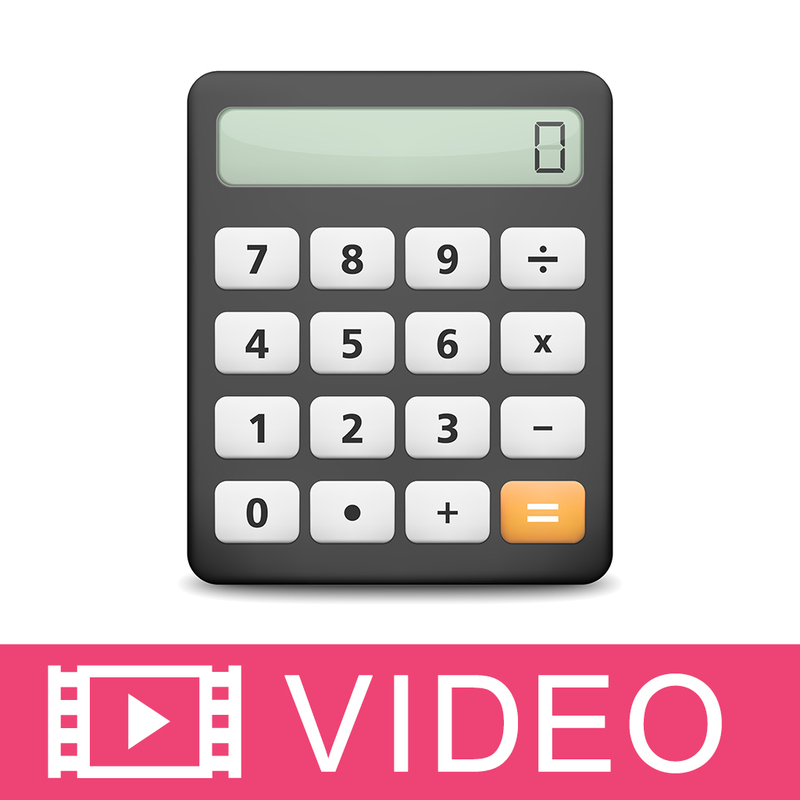 It's more expensive than other companies, but you only need to use. 0.7 ounces per pound of oils with cold process soap because it is SO SO strong! There is a slight acceleration and it turns your soap dark chocolate unless you add titanium dioxide. I wouldn't be caught dead without it! I've bought at least 50 ounces of it so far! COMMENTS: I love this fragrance. When I work with it, people at home think I'm baking brownies!It's a true fudge brownie fragrance and it has great scent retention in CP soap. I have a cupcake soap I made a year ago that still smells like it. Did not accelerate or rice and that's always a plus. "Out of this world! " COMMENTS: Smells amazing but more like brownie batter then fresh baked brownies. Family and friends who've already smelled my soap LOVE it! A friend commented smelling the bar would give him cavities haha. I ordered more right after making my first batch of CP with it. I didn't have any acceleration in trace which is key with the designs I make. I had plenty of time to work with the soap. • Smell is spot on! "MAKES YOU WANT TO EAT IT!" COMMENTS: I LOVE THIS SCENT IN MY SOAPS. SMELLS JUST LIKE BROWNIES! COMMENTS: My kids can't get enough of this fragrance. Perfect for any kids soaps! COMMENTS: This FO is completely true to it's name. Lovely and warm - smells like there's a batch of brownies in the oven. COMMENTS: This one smells just like a fudge brownie in cold process soap and it stays there too! COMMENTS: This oil smells exactly like fudge brownies. I put cocoa in the mix as well and it made the entire house smell like fresh baked brownies. COMMENTS: Awesome cold and hot throw in soy, wonderful in cp soap. COMMENTS: Smells exactly how it sounds. Fantastic. COMMENTS: It smells so good I want to eat it. COMMENTS: I am not a real chocolate lover, but I love this scent. It smells like brownie batter....which I DO love. I added coco powder and coco butter to my CP soap batter. The batter was a beautiful chocolate cake brown and smells good enough to eat! "Most Excellent Fudge Brownie scent"
COMMENTS: This is my first time using this fragrance oil and I understand the 5 star rating. It smells exactly like its name implies. It really does smell good enough to eat. I am fairly new to soap making but out of the 10 batches I have made, this is by far my favorite!! This will most definitely be a repurchase the next time I order!! COMMENTS: Made a layered soap using half fudge brownie and half vanilla FO. Big seller! COMMENTS: When I was making this scent of candles, it literally made my whole house smell like I had just made a big batch of delicious, fudgey brownies! This scent makes me want brownies every time I get a whiff of it. Most chocolate scented things usually smell "off" to me, but not this one! COMMENTS: Right out of the bottle, it smells EXACTLY like a gooey, delicious fudge brownie. Can't wait to use in lotion, M&P and candles. Very impressed. "First time purchaser and amazed!!!" COMMENTS: This is my first time ordering from this website in general and I must say i am VERY impressed with the quality of these products so far. This FO really does smell like fudge brownies. The minute I unwrapped the tape from the bottle i just wanted to eat it all up. I used this FO to make a ginerbread man and lets just say don't leave this unattended around family. COMMENTS: Couldn't be closer to the real thing! Made the room smell just like brownies, it was heavenly! COMMENTS: I understand why this fragrance oil got all 5 stars! It smells EXACTLY like a pan of fudgy chewy brownies! I mean, you can actually smell the fudge, it's that authentic! 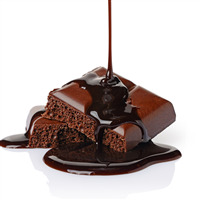 After I smelled it I was craving fudge brownies for hours~NOT a good fragrance oil choice if you are dieting! COMMENTS: I want to eat the bottle,what a delicious chocolate fragrance!! 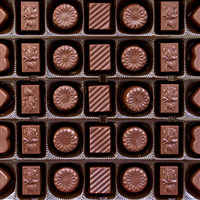 COMMENTS: It is very hard to find a chocolate fragrance that doesn't have an artificial note to it - this is it, great! Used in HP soap with undeodorized cocoa butter and cocoa powder. Scent lost some power after cure, but not too much. Added a touch of vanilla to help brown it up more. COMMENTS: I made this batch a few weeks ago and it made my entire house smell like brownies! I have the candles I made sitting in our spare bedroom and every time I walk in I can smell them!! I haven't even burned one yet and the scent is that strong! I would highly recommend! COMMENTS: I just poured a test candle yesterday & burned it today - so it hasn't even cured for long & this smells sooo good - just like brownies in the oven! COMMENTS: This smells amazing in CP soap. Really nice fudgey smell. "Wonderful CP soap and Soy Candles"
COMMENTS: This fragrance made the most wonderful cold process soap. I had no trouble with it and even after curing it smelled just like a little debbies brownie! It also has a wonderful hot and cold through. I used 10% FO in my soy candles, and 5% in my CP soap and the fragrance just lasts and lasts. Everyone says they want to just take a bite of our brownie soaps!! "You will want to take a bite out of this one!!!!" COMMENTS: I made soy wax tarts. Great throw cold and hot. It's like you just mixed up a fresh batch of brownies and took a big whiff of the batter!! Rich with chocolate nutty goodness!!!! COMMENTS: All I have to say is WOW! COMMENTS: I LOVE this scent. It smells like a baked brownie drizzled with hot fudge. Its amazing. Please don't get rid of it. I used it in MP soap, it smells like a chocolate lovers dream. COMMENTS: Made me want to take a bite (or sip)!!!. Smells just like a yummy brownie!! COMMENTS: AWESOME THROW! This is very popular, PLEASE don't up the price, as this is as good as Hershey's AND Chocolate Mousse in my book!! Try mixing with coconut and Vanilla!! COMMENTS: I made some chocolate lover's soap in this scent and colored with cocoa....my husband almost ate a bar of my soap because he thought it was a brownie!! That's how realistic this scent is! Definite keeper. COMMENTS: I was really skeptical that people would like a chocolate smell in candles/tarts, but WOW! The first time out, the response was very good. The first batch I cooked up smelled great, but I really didn't think anyone else would go for it. I think the scent as well as the name are very appealing. COMMENTS: Wow! This is an amazing FO! My only regret is that I didn't get a bigger bottle. Smells like hot cocoa and I will definitely be restocking soon!! COMMENTS: Has a good throw in soy as well as paraffin. I like to mix it with coffee. COMMENTS: I want to lick the jar! It smells absolutely delicious. One of my favorites - very comforting. COMMENTS: I used the Fudge Brownie scent in my first attempt at making M&P soap products and this is awesome!! I am so pleased with the chocolate-brownie scent...it is truly wonderful. I will definitely be coming back for more of this...a great product for sure! COMMENTS: Has nice hot throw in soy candles. COMMENTS: This candle smells exactly like fresh baked brownies. 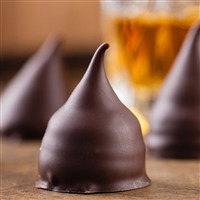 Fantastic chocolate fo, but I've found it is better in candles than bath or body products. COMMENTS: Fudge Brownie out there! YUM! "Is this a candle safe oil? " 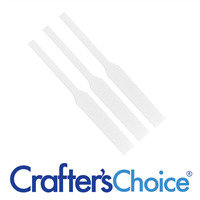 Staff Answer All Crafter's Choice fragrances are safe for candles. Please check the directions for your wax to see how much fragrance to safely add. "hi does this contain any nuts? thanks "
Staff Answer We are not a nut-free facility and there is a possibility of cross contamination in any of our fragrances. "Is this fragrance the same as the one you had called "Double Chocolate Fudge Brownie", just renamed? Thanks!" Staff Answer Great question! Actually, no, it is not the same. This is a different fragrance. But I would suggest using this one to replace the Double Chocolate Fudge Brownie. It smells delicious! !